IN STOCKOrder now. Free Shipping for this item. 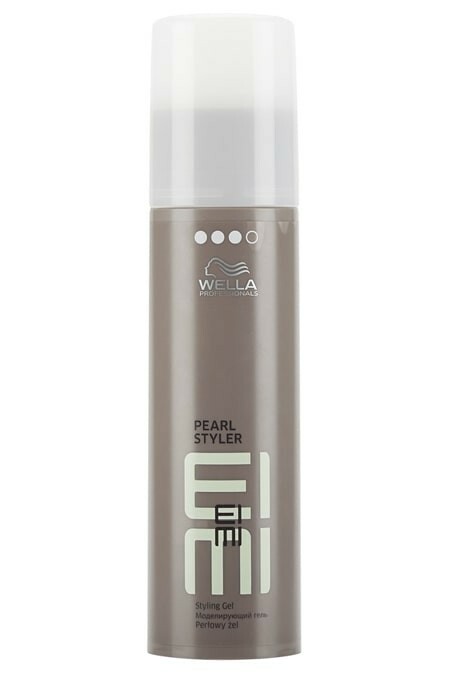 Wella Professionals Pearl Styler Styling Gel is set to be a best-seller! A replacement product for the ever-popular Wella High Hair Pearl Styler, this multi-use offers endless hairstyle opportunities. Use Pearl Styler to lift, texturise or tousle hair to your preferred style. It’s unique ingredients provide a pearl-shine finish to hair, leaving you with a Wella Professional looking hairstyle! We are currently working on getting the best how-to-use instructions to provide you. In the meanwhile, please see product packaging for instructions or call us at (702) 372-5554 and we'll be happy to provide you with further details. Orders placed before 12 Noon PST Monday through Friday usually ships out that same day. Orders placed after 12 Noon PST Monday through Friday will be shipped the following business day. We do not ship orders on Saturday, Sunday or Holidays. Need your order faster? Faster shipping options are available once you have entered your complete billing and shipping address at checkout. If you need something by a specific date, please contact customer service prior to ordering so we can confirm when your order can actually ship. **This section (including Estimated Delivery Date) applies to USA orders only. We cannot ship some aerosol, nail polishes and alcohol-based products to some countries. These products are considered hazardous materials and are required to be shipped by Ground-only transport due to air transport restrictions and regulations. For International Orders, please read our full Shipping and Returns policy.